According to Januario Jesus ‘JJ’ Atencio, providing mass housing is less about the structures being built than the people who are benefiting from them. 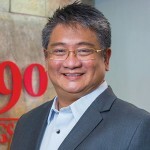 Publicly listed 8990 Holdings, Inc., through its subsidiaries such as 8990 Housing Development Corporation and Foghorn, Inc., caters to an area of great demand in the Filipino residential marketplace. It is considered to be the top mass-housing developer in the archipelago, providing affordable homes built with integrity, fairness, and competency. Founded in 2002 by three like-minded developers, including current President and CEO Januario Jesus ‘JJ’ Atencio, 8990 has grown to become an industry leader, admired for its philosophy on price, quality, and service. JJ says the concept came from a realisation that there was a great need for this type of housing in the Philippines. 8990 caters to the people who immediately need a roof over their heads because, in most cases, their previous status was that of a renter. They want to become property owners but they need help with housing finance. This is the reality for most of the working-class Filipino demographic, JJ notes. This approach to business has served 8990 extremely well. It is the only developer in the Philippines that requires buyers to undergo a half-day—four-to-five hour—financial literacy seminar. JJ says that financial literacy is so important that 8990 is willing to refuse a sale if the purchasers refuse to attend the educational course. “It is one of the cornerstones of our business model and the secret to our success,” he proudly states. By providing this support, 8990 has proven to the market that its aim is not just to provide shelter at an affordable price, but also to assist in the long-term financial gain for buyers, predominantly through price appreciation.